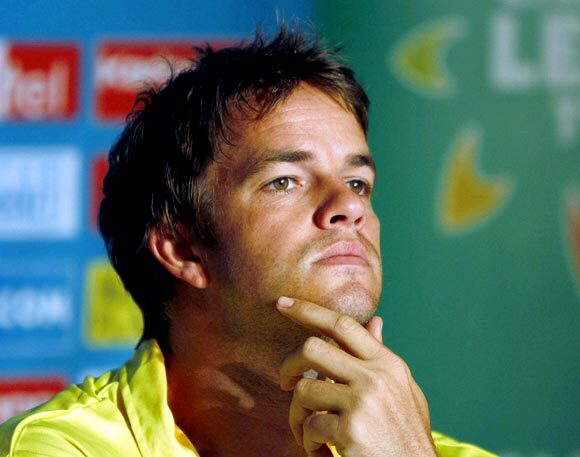 Albie Morkel is one of the most sought-after cricketers when it comes to Twenty20 cricket. The 30-year-old all-rounder is a regular member of Chennai Super Kings since the last five years and has played an integral role in them winning the Indian Premier League the last two seasons. The left-hander not only makes a difference with the ball, but is also capable of turning a match on its head with the bat. Recently, he stunned Royal Challengers Bangalore, smashing 28 runs from seven balls, as Chennai chased down an improbable 43 from the last two overs. Morkel is the highest wicket-taker for Chennai in the IPL, having claimed 63 wickets in 64 matches since he signed up for them in 2008. In an exclusive interview with Harish Kotian on the sidelines of his visit to the PUMA showroom in Mumbai, he speaks about his experience with Chennai Super Kings and why the cash-rich tournament is a boon for Indian cricket. How disappointing was it to lose to Mumbai Indians? You were all set for victory three balls from the end, but Dwayne Smith did the impossible by scoring 14 runs from the last three balls and stole victory from the jaws of defeat. Did you guys feel robbed at the end? Yeah, it was pretty disappointing. Like, as you said, the match looked nearly over and I saw a lot of people were leaving the stadium feeling that the result was settled. This shows you that a T20 match is never over till the last ball is bowled. I must say, well-played to Mumbai! I think they have won like seven of those games in the last ten matches they have played. They are a team that knows how to fight till the last ball. 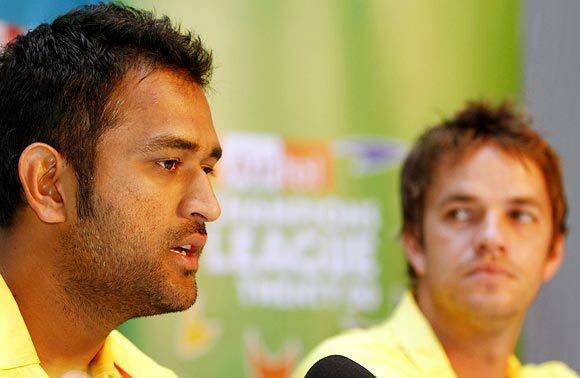 You have been with Chennai Super Kings right from the inaugural season of the IPL. Would you say this is the toughest season for the team, because it hasn't been consistent and needs to do really well from this stage to make it to the last four? I think so; in terms of putting up good performances on the board we have been okay; we are still competing. We haven't put that real 100 percent performance on the board yet. Maybe, last night, if we had won that game against Mumbai Indians that would have been the turning point. We have to regroup now quickly. We have four games left and, basically, we have to win all four to qualify. Would you blame the batsmen for this current situation Chennai finds itself in? The team hasn't been able to post big scores so far in this year's tournament? I don't like the word blame, because I don't like to blame anyone. There are so many things that turn a cricket match. We prided ourselves in the past not to play the blaming game; we rather stick together as a team. There are areas we can look at; like our fielding at times, bowling at times and batting at times. All in all, we just need to find the energy and passion for the last four games to really turn up the heat and try to make the play-offs. I think if we can do it we can beat any team that comes up against us. Mahendra Singh Dhoni did not enjoy a good run as India's captain coming into the IPL. Now he faces another tough task with Chennai, because everyone expects this team to go all the way. Does he get angry or show his anger when results are not going his way? How does he react in tough situations? Dhoni has not changed at all, and that is one credit you can give him. I think he has got the most difficult job in the world and that is to captain Team India. It is a very difficult job, because when you do well everyone loves you, but when you do badly everyone turns in on you quickly. As far as Chennai, having spent time with MS, I think he is still the same guy. Obviously, he will be under pressure, but he is still relaxed and still approachable. Do you believe Chennai has enough quality to bounce back from the early setbacks and peak in time to complete a hat-trick of IPL titles? Definitely, we have the ability and we have proven that in the past. We have always been a team that starts off slowly and picks up towards the end. Hopefully, we haven't left it too late this year. I can guarantee you that it will be on everyone's mind and we will look to win four out of four remaining matches. South African players seem to relish playing in the IPL. This year too all of you have done well with your respective franchises. How big a boost is it do well in a big tournament like the IPL, which has such a huge fan following around the world? It is a good thing for South African cricket, especially in these foreign conditions. In the past, whenever a South African team toured India it struggled in tough conditions. But it looks like the guys are starting to adapt. Also, with the IPL now there is a lot of cricket being played in the sub-continent, so people will get used to it more and more and adapt quicker. Hopefully, all our guys can keep their form till the T20 World Cup. 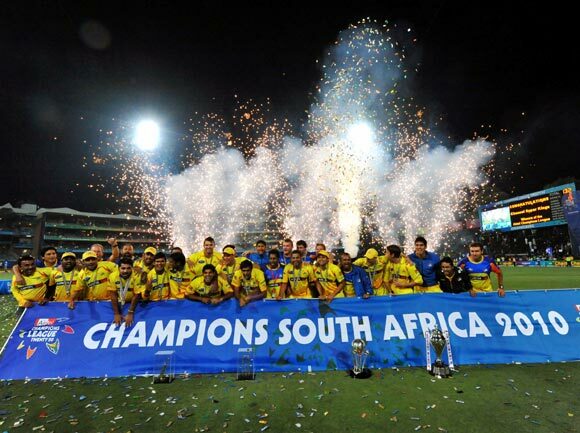 This year the IPL has got such a huge reception from fans with virtually every match seeing packed houses. And the fans have got their money's worth too with so many closes games in the tournament. Would you say this is the IPL's best year? I think, if I can remember, the first IPL [in 2008] was probably the biggest; I might be wrong too... I don't know. This year there has been a definite improvement over the last year. Last year we saw that the crowd was pretty small. And this year, if you see even the points table, the teams are all close together; so it is going to be an interesting finish, a tough finish and it is going to be good for the IPL. Looking at the full house for the 4 pm match, it is a good sign and it shows that IPL is just growing. Having played in all the editions of the IPL, how do you analyze the quality of the domestic players? Do you think the quality of the Indian domestic players has improved over the years? I think so, definitely! Every year there is a new guy on the block who does well. So the IPL is definitely improving Indian cricket; whether it is in the short format, is not a problem. Every year you see a new fast bowler who may not necessarily play for India that year. There are quite few guys coming through, so I believe the IPL is fantastic for Indian cricket. Despite being a good pace bowler in the limited-overs' format you have also proved to be a big match-winner with the bat. That blazing knock -- when you hit 28 from seven balls -- to help Chennai win from an unlikely situation when they needed 43 from two overs for victory will not be forgotten easily by Royal Challengers Bangalore fans. What goes through your mind when you come out to bat in the closing stages of a T20 match, when the only option for you is to start hitting from the word go? That is actually a situation when if you don't make it then it's okay, because everyone one will say it was not possible. But if you make it, they will say great stuff about you. I just walked out and thought I have got nothing to lose here and gave it everything. I think you need a bit of luck to win a tournament and I had luck on my side that evening. I got an inside edge off the first ball I faced and it went close to the stumps for a four. From there I hit a few nice ones. It is a situation where you can't have any doubts, you just have to go for it. While the IPL goes from strength to strength every year, we have the Champions League T20 tournament which is struggling for survival despite being on the same lines of the IPL and having the best clubs from around the world battling against each other. Why is the Champions League is struggling to find audiences? According to me, the Champions League is a fantastic tournament, because the best teams from around the world play against each other. Also, the players who don't play in the IPL get the experience to play what it is like to play in India in a big tournament. The format and the idea is fantastic, but why it has not taken off I don't know. Maybe, the Indian fans don't go out to support other teams, like two South African teams playing against each other; they want to see their own local boys. Maybe, that is a concept that will work somewhere else in the world. The IPL is only the time when get the chance to play against your younger brother, Morne. How is it playing against Morne? Is there serious rivalry to do well and get the bragging rights at home? Myself and Morne don't compete against each other. We have a great relationship where there is no jealousy. The first time I played against him was in this year's IPL in Delhi. I faced three balls from him and that was it. Hopefully, in our next meeting in Chennai we will have a better chance of playing against each other, in terms of time out in the middle. For a player who has been a consistent fixture in the South African limited-overs' side, what do you take from a tournament like the IPL? For you, it would no doubt be important to find a permanent slot in the Test side; how do you work towards it? I don't think the IPL plays a major role in terms of Test cricket. For me, just the experience of playing in the IPL, the experience you pick up as a cricketer of playing in different conditions, the experience of playing against the best cricketers in the world and bowling to the likes of Sachin Tendulkar and Virender Sehwag is an experience I will remember for the rest of my life. The IPL for me is not only about playing tough cricket but also about creating memories and enjoying the memories. 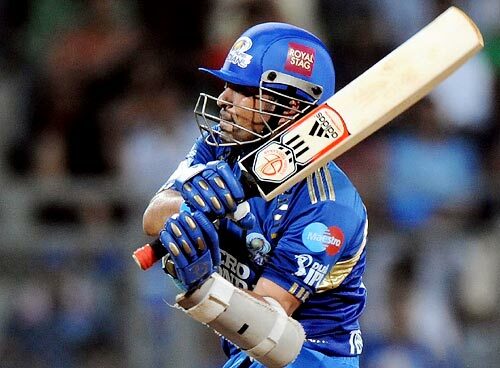 Sachin Tendulkar has had a fair share of criticism recently for his sedate batting. But when you played against him in Mumbai on Sunday he looked a completely different batsman as he attacked from the word go. 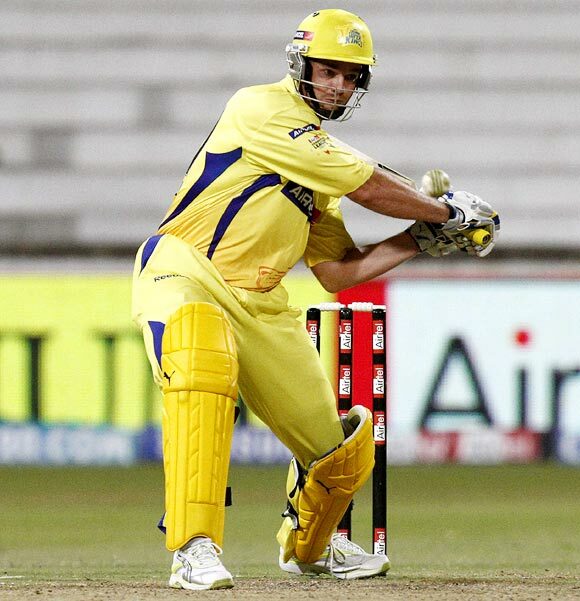 Were you surprised by the way he played against Chennai? I think it caught us all by surprise, because we expected Sachin to play a sort of anchor role. We were also discussing about it after the match. I haven't really experienced that in my life before -- that you bowl to someone but you don't know where to bowl. Sachin played unbelievably well. It felt like he was ahead of you every time you wanted to bowl a delivery. It was sort of that he knew what delivery you were going to bowl and he was ready. It was a fantastic innings and he really set up the game for them.